Watch these shorts, and tell me you wouldn’t support a semi-regular Haunted Mansion TV series done by Stoopid Buddy Studios (Supermansion, Robot Chicken) with the Walt Disney Imagineers? This may be the thing that made my day. Disney XD promises a full special, but I suspect it will be something like “Forces of Destiny,” where we’ll get a bunch of shorts online that will be tied together for broadcast. 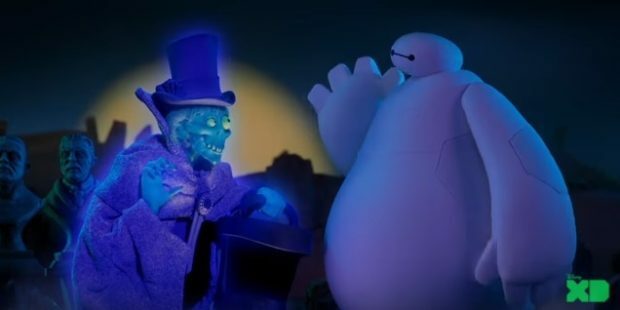 Below are the kids from Duck Tales, Baymax running into the Hatbox Ghost to promote the upcoming Big Hero 6 series, and Star and Marco taking a detour from Star vs. the Forces of Evil.